For more information on any of the programs below, call (605) 698-7654 or email. 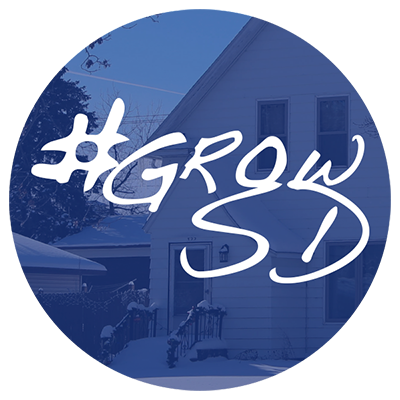 GROW South Dakota owns apartment complexes in Milbank, SD and manages an apartment complex in Sisseton. View more information about each apartment complex or view an Apartment Application. Weatherization is a service to assist individuals in providing energy efficient measures in their homes. A GROW South Dakota representative will conduct an energy audit on the home to determine what repairs are cost effective to increase energy efficiency and reduce the cost of utilities. Common repairs include: adding insulation in walls and attics, weather stripping doors and windows, minor repairs, and furnace repairs and replacements. Income guidelines determine eligibility. View an application for Weatherization. 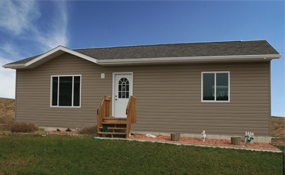 GROW South Dakota is a local marketing representative for this affordable pre-built energy efficient home that comes in a variety of floor plans including 2-bedroom and 3-bedroom homes. Contact Jim Becker at 605-897-7636 or jabecal@nvc.net. Click here to review the floor plans and home features for the Governor's House. Hire GROW South Dakota to conduct a home energy assessment on your home. The results of the assessment are used to determine the energy saving improvements needed to increase the energy efficiency of your home. To receive an estimate or to schedule your home energy assessment email or call (605) 698-7654. Watch a demonstration of the Blower Door Test. Now is the time to get those repairs done. Hire us to do small construction jobs such as: replacing windows or doors, insulate (attics, exterior walls, crawlspaces), home energy inspections, etc. Email or call (605) 698-7654 today to get your repairs scheduled. Bids available upon request.